From £300 per night for the whole house in low season and £425 per night in Summer. Stationmaster's Lodge sleeps 18 and is a great value option for family gatherings and larger groups. Dogs welcome too! 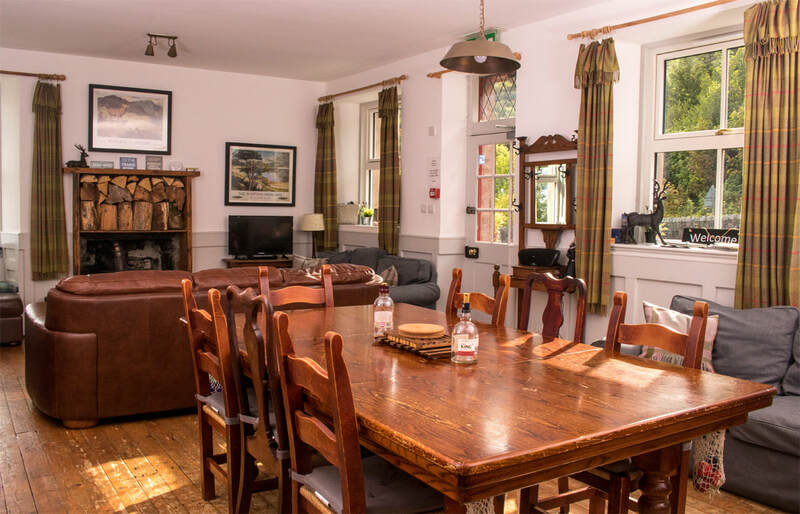 Fancy renting your own highland lodge? Get in touch to check availability. 20% deposit taken at time of booking and full payment 1 month before arrival. (These rates do not apply to Christmas and New Year. To see our festive season prices, please click below).